Installation view, “Archaeology of the Future—Search and Research” at Toto Gallery Ma, Tokyo, 2018. 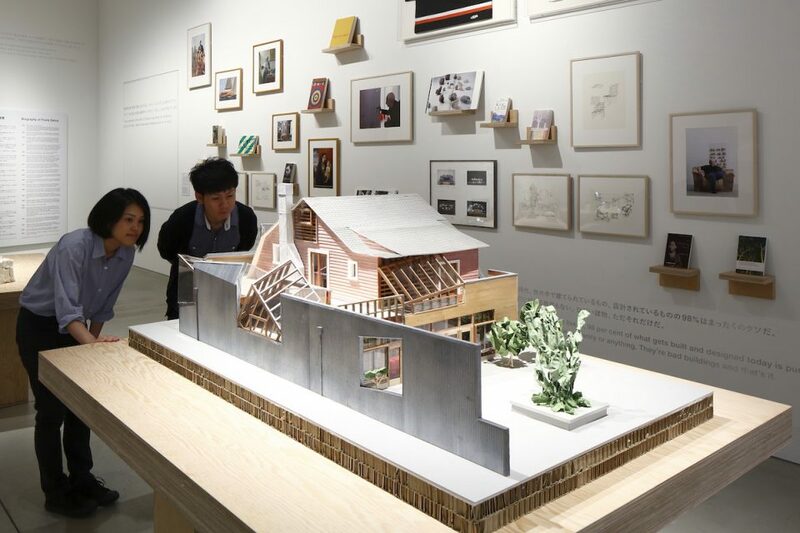 Photo Nacasa & Partners Inc.
ART iT: We were just talking about the recent exhibitions of Japanese architecture in Japan, including the Mori Art Museum’s “Japan in Architecture” show from earlier this year and the National Museum of Modern Art’s “Japanese House” show from 2017. How do you feel about your relationship to the genealogy of Japanese architecture in general? TT: I don’t know. I work for my passion. I was born in Japan and love our traditional architecture, but I also love the historical buildings in Europe, and have learned a lot from them. So if somebody says I belong to this group or that group and it seems to fit, then I wouldn’t disagree. That’s really the historian’s job, not mine. But of course I’m happy to carry on the tradition of architecture in Japan and contribute to its history. I don’t want to just be by myself. I want to both learn from the masters and have something to teach the next generation. ART iT: Is it true that Gaudi was an early inspiration for you? TT: Gaudi was the first figure I encountered when I decided to study architecture. I came across a book on him in the library and it opened my eyes to architecture. Tadao Ando and Kenzo Tange were of course also strong influences on me when I was a student. But I would say that more than following any one architect or master, I am more interested in specific projects. Architects like Ando or Le Corbusier or Mies van der Rohe have done many brilliant projects, but they’ve also done others are not so great. I don’t feel the need to agree with all of their ideas. Installation view, “Frank Gehry: I Have an Idea” at 21_21 Design Site, Tokyo, 2015–16. Photo Keizo Kioku. ART iT: You have designed exhibitions including “Frank Gehry: I Have an Idea” at 21_21 Design Sight in Tokyo and Hokusai at the Grand Palais in Paris (both in 2015), and are now preparing a two-venue exhibition of your own work at Tokyo Opera City Art Gallery and Toto Gallery Ma. How do you feel about exhibiting architecture? TT: Generally speaking, architecture is not easy to exhibit. Architects make buildings, but all we can show in an exhibition are the secondary elements of the production process: photographs, drawings, models, sketches, videos. Whereas artists are able to directly communicate with the audience when they exhibit a painting or object, architects can have only a fragmentary communication. And to understand even a single building is really complex. It’s not just about artistic vision, but also factors like building codes, client demands, location, context, environment – all of that goes into the building. That’s why so many architecture exhibitions require a large volume of texts and data, which is not always so exciting. That said, I am pushing myself to come up with a good exhibition. The title of the show is “Archaeology of the Future,” and what I want to communicate to visitors is not just our design sensibility, but also our approach to architecture as a kind of archaeological practice that enables us to think about the future. Usually architecture looks to the future while archaeology looks to the past. But through the exhibition I want to show that when we work on a project, there is always a deeper level of meaning that connects it to different memories and associations. 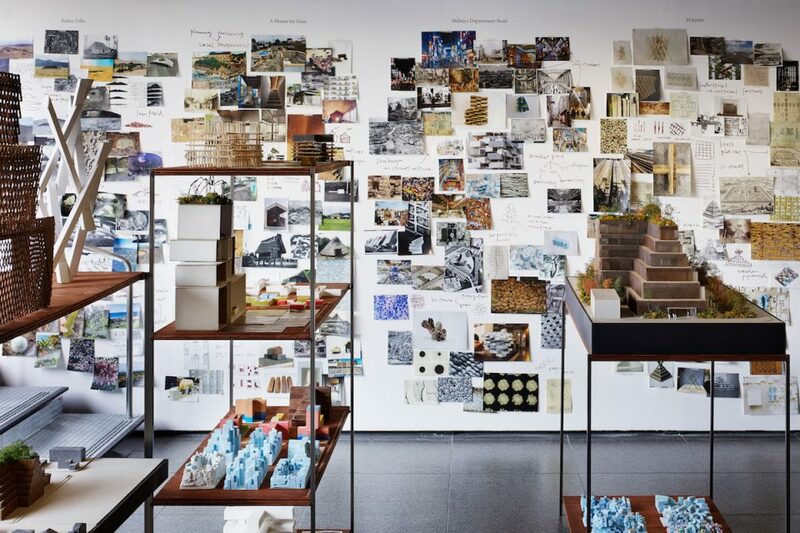 ART iT: Many of your projects literally dig into the ground – the Estonian National Museum, your Kofun Stadium proposal (2012), and your House for Oiso (2015) among them. TT: As I mentioned above, I think one important thing that modern architecture has overlooked is the idea of place. Modern architecture operated on the idea that you could create a modern space anywhere under any conditions, so that the building exists independently to the land. But I want to make architecture that is connected to the ground. Connecting architecture to the ground means that it belongs to a place, and that the ground is part of the architecture. You can’t divide them. Also, creating a space is not only about constructing it from the ground up. Digging is another way to make space. I try to both excavate the space and use material to construct the space. ART iT: Do you have any sense of urgency for architecture today? TT: The main challenge for me now is thinking about how to make architecture that is durable – and not only materially durable, but also socially durable: architecture that can endure the pressures of commercialism and capitalism and the constant changes of life today. The speed of life is so fast now, and if the production of architecture also speeds up to meet this social acceleration, then it will lose its quality and durability. So how can we make a sustainable architecture that can also pass something on to future societies and generations? I think architecture that cannot be sustained in this way is almost criminal. A House for Oiso. Photo Takumi Ota, courtesy DGT. ART iT: This brings me back to my first question. Many of our top architects design commercial spaces, and often these buildings outwardly present an attractive envelope or unusual concept, but inside they are still commercial spaces designed to make visitors spend their money. For example, there is Shigeru Ban’s Hayek Center in Ginza (headquarters of Swatch Group Japan), or Sanaa’s Dior building in Omotesando. The most emblematic for me is Tadao Ando’s Omotesando Hills, where the retail spaces are arrayed along a spiral ramp that physically coerces visitors into entering the stores. TT: I think that beyond the demands of designing a commercial space and whatever expectations the clients may have for directing the circulation of the customers, the mission of the architect is still to make a space for public use. When we design, we are thinking about the building’s continuity with the street. But the contents of the interior can always change. If some other client bought the Dior building, for example, they could turn it into whatever they wanted. The architect makes a structure for public use – public space – but it won’t work if we try to make a space that is successful only in commercial terms. Even in the case of Omotesando Hills, the spiral may be lined with shops right now, but those spaces could serve any kind of function. They could be galleries or conference rooms. Creating a space does not decide everything about how the space is used. ART iT: Do you have a responsibility as an architect to challenge the client in some way? TT: I always work with clients through a process of dialogue. The clients start out with the right answer or the right vision, but if they knew exactly what they wanted, then they wouldn’t need an architect. So once we come up with a proposal, that becomes the basis for a dialogue. We can show the clients things they didn’t know or didn’t imagine, as well as things in their original brief that might not be practical. In that sense we always challenge the client. On the other hand, there’s also the question of durability. If the clients are too focused on consumption, and they want to make something quick and economical, then they won’t have the patience to try something challenging. The acceleration of consumer culture is having a critical effect on architects’ visions. ART iT: Economic policy in many countries is still focused on promoting growth and productivity, but in reality we’re seeing that while certain areas of production can expand to a global scale, others are forced to contract due to globalization. There are two different trajectories happening at the same time. TT: To me, the problem is about investment and capitalization. You need money to invest in a certain industry, and once you invest it, the money becomes capitalized. When it comes to property in Japan, we have two kinds of capitalization. One is for the land and the other is for the building. If you buy land, it either maintains its value or goes even higher. But if you invest in a building, its value will depreciate to zero in some 40 years’ time. This is very bad for the building, since nobody wants to buy something that has zero value. That’s why people always decide to demolish the building: it makes the most economic sense. So the economic system produces our system of scrap-and-build real estate development. Once you put a price on everything, then you open it up to being sold and acquired as an investment and it becomes subject to the demands of capitalization. In contrast, in Italy, even though the economy there is relatively poor, the environment and culture are very rich, because the Italians invest more in their heritage and cultural properties. They don’t want to subject their historic buildings to the global economic condition. They do not put a price on those buildings, because they know they are priceless. I think that’s a smart way of thinking about heritage. This shows the difference between the Japanese words shisan and zaisan. One is about financial assets and the other is about property and heritage. When you invest in the latter, it makes the property more durable, and enriches it beyond even the amount spent on the investment. 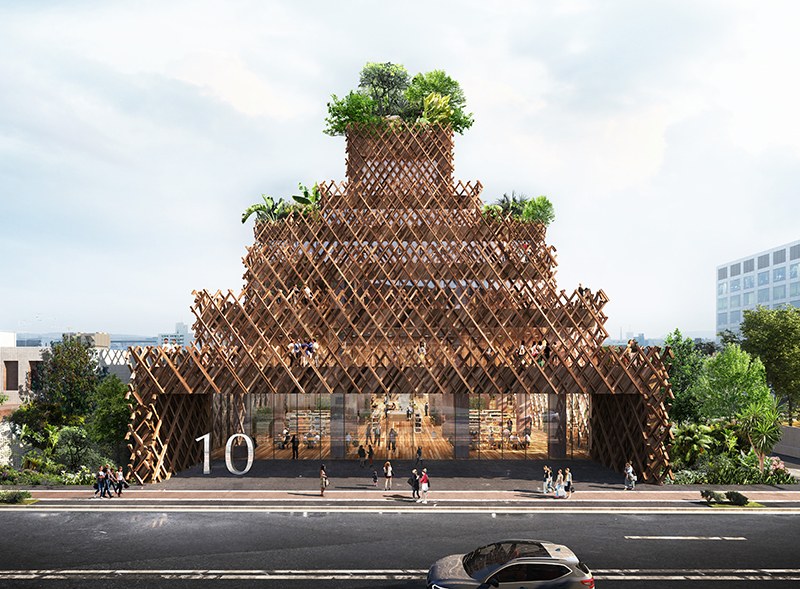 10 kyoto. 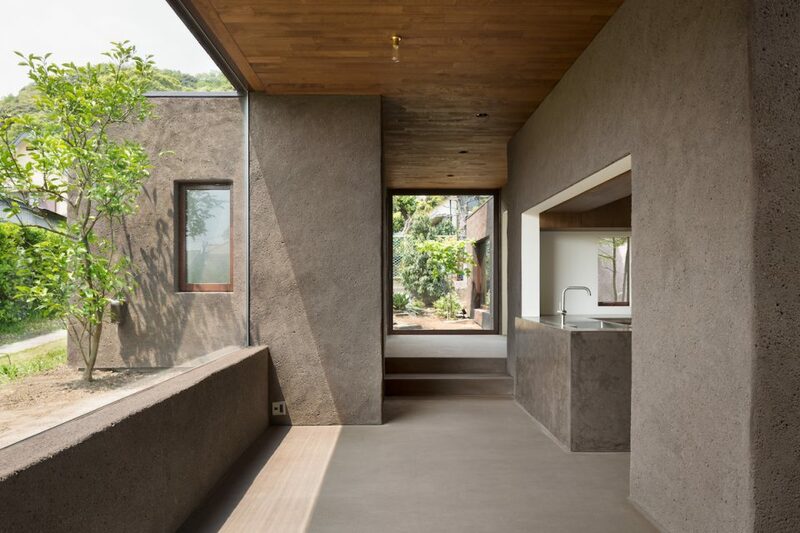 Image courtesy Atelier Tsuyoshi Tane Architects. ART iT: I think the current moment is a good opportunity to think about architecture that contracts instead of grows, or architecture that expands to include new populations such as refugees instead of accounting only for a monolithic image of a nation. There are many directions you could take architecture today, and maybe you have to stay flexible to respond to each situation as it comes. TT: I agree. Today’s architects need to build those new opportunities. So many people are on the move now, and our built environments need to have more flexibility and openness. Having just a single function is not enough to sustain a space anymore. Space needs to be flexible enough to host many people and activities, which is not possible when it has a fixed functional program. Fittingly enough, the entrance area to the Estonian National Museum has become a public space that hosts many kinds of events, from weddings to music festivals and press conferences – as well as celebrations for the centenary of Estonia, which took place earlier this year. Public space has to have the capacity to imagine the unique ways that people will want to use it. That’s why memory is such an important keyword for me. Thinking about how to recognize the memory in a place allows for a kind of continuous memory production. It produces a continuous experience of the place. If you visit a temple, for instance, the monks there obviously will have had no part in its construction centuries ago, but they can still talk to people about how the temple was built and all the memories and stories that also constitute the building. The architecture itself has a memory that it can continue to tell people, and if it loses that faculty, then all that will be left is the name of the architect.